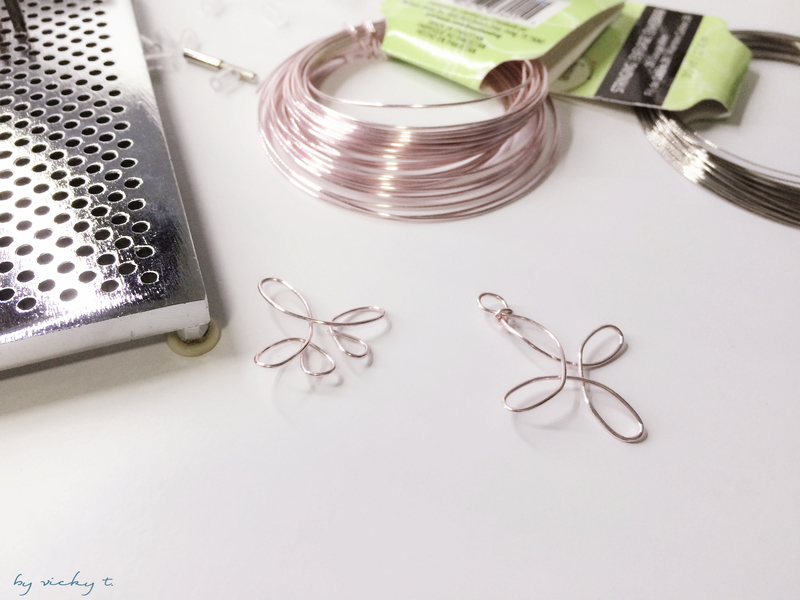 A few days ago I bought this Wire Jig Kit on amazon for about $13 to play with. It’s supposed to help with creating loops when making wire jewelry. 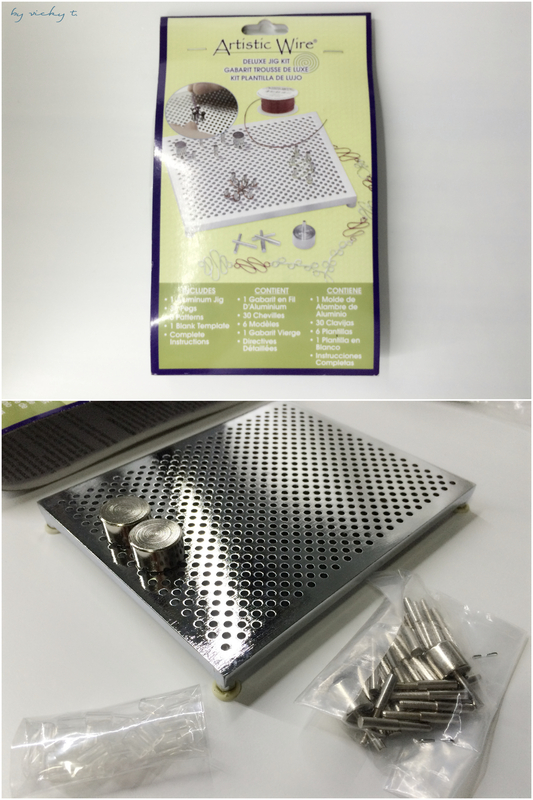 The kit comes with a metal square that has multiple holes and different sizes of pegs are to fill the holes. 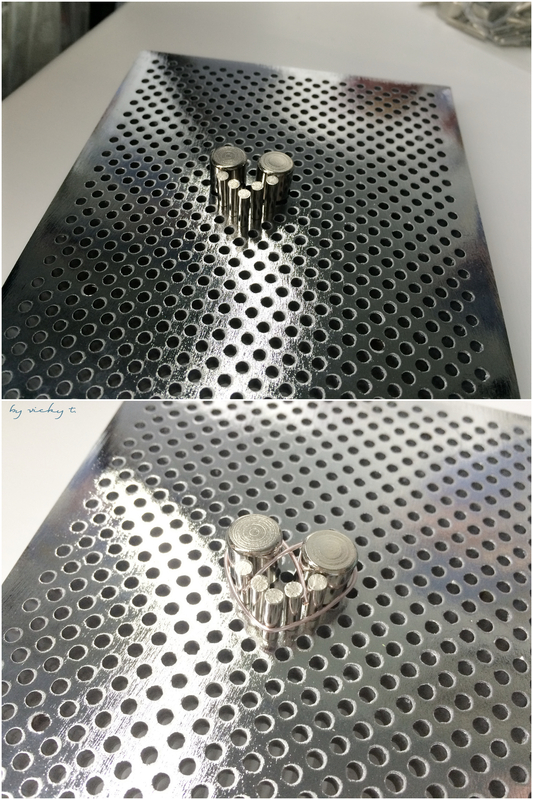 To keep the pegs steady, there are also small rubber pieces that to be placed under the pegs. I tried one of the designs that was already given and it was a little harder than I thought but I believe this kit will be pretty useful once I’m accustomed to it. I decided to try something a little simpler. 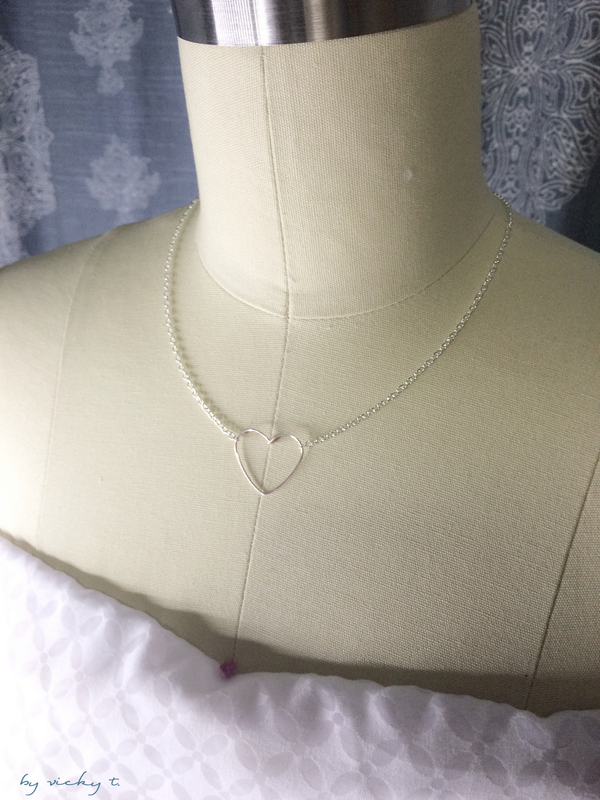 I saw this necklace on the Forever21 site and thought it would be pretty easy to replicate. I created a little heart on the kit and proceeded to wrap my wire around it. 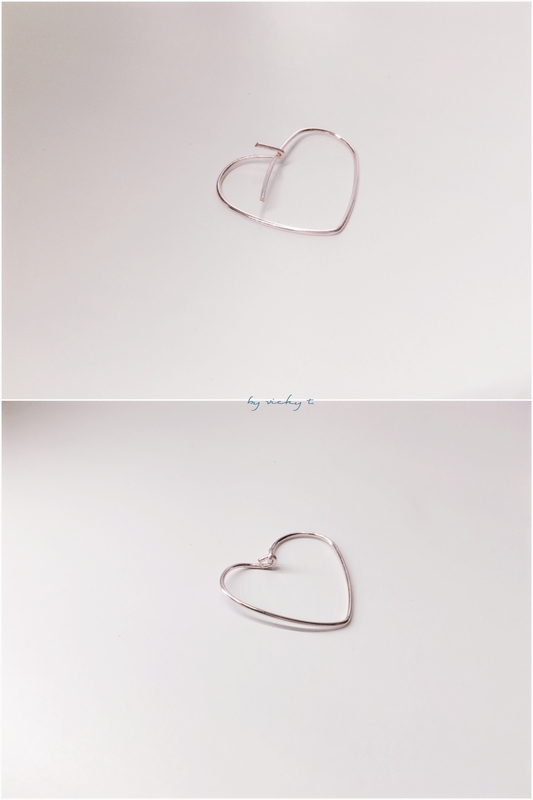 Once I had a heart shape, I removed it from the kit and created a loop on one end and cut off the excess. Another loop would then proceed over the previous loop and the excess needs to be cut off as well. 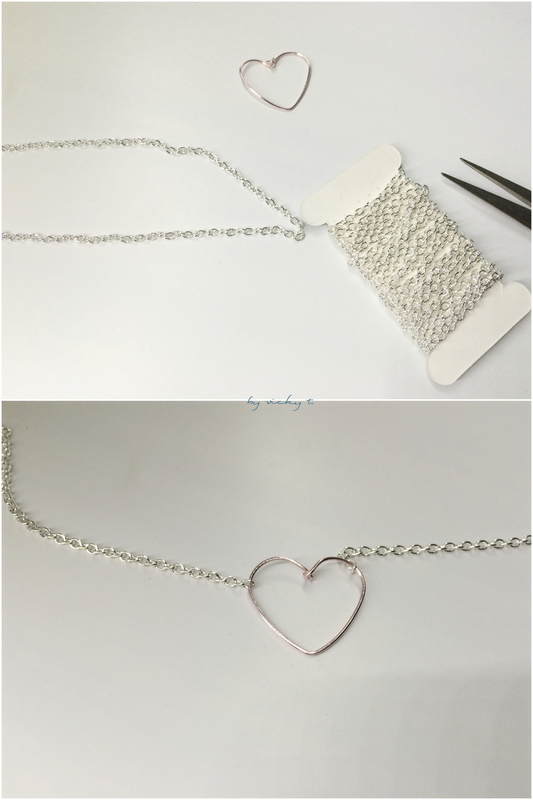 I had some chains laying around so I cut two equal pieces and hooked one end of each onto the wire heart. On the remaining ends of the chain, I placed a hook and jump ring to finish. This was a super quick and simple DIY. After I make one thing I can’t seem to stop with that category. I had quite a few earring DIYs earlier and now I’m making necklaces. 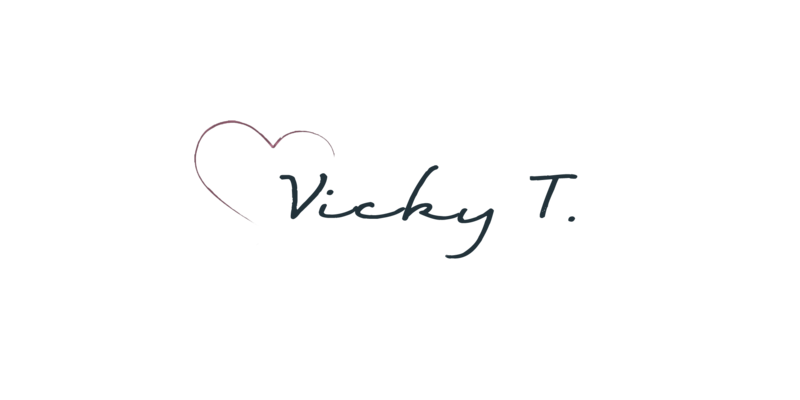 Hope you liked my DIY and have a great Labor Day weekend! Do you like working with different gauges of wire? Making wire bend the way you want it to isn’t always easy. I totally agree, it always takes an effort to bend the wire. I’ve been working with 20 gauge wires lately though, I feel that it’s a bit easier to bend than others but would still feel “sturdy” (if that makes sense). This looks like a really fun DIY tool kit to have around! Love this – so cute! Need a kit like that – definitely very helpful! It is! I really like it so far. I haven’t worked with other dress forms before so I can’t compare the quality. But for the price, I think it works well.